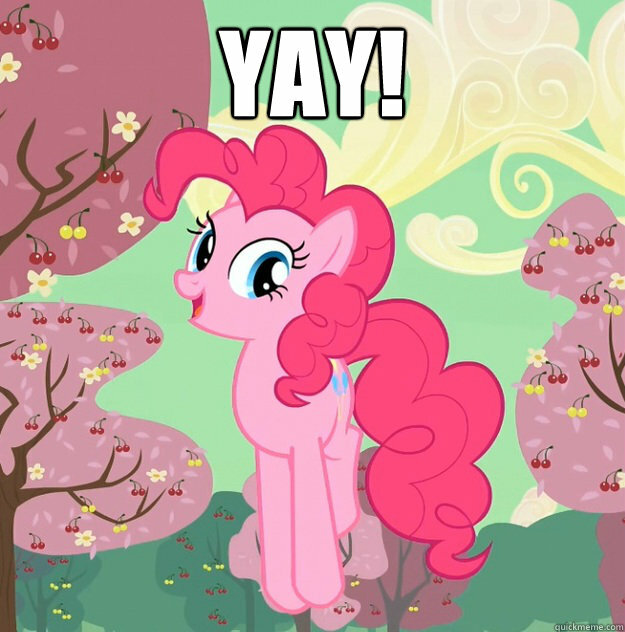 Everypony, Welcome to the Fan Club of Pinkie Pie! She is positive, and she loves fun and sweets. She has her limits too, but always gets up with happy grin on her face. Sometimes she says silly things, and sometimes she has strokes of genius. 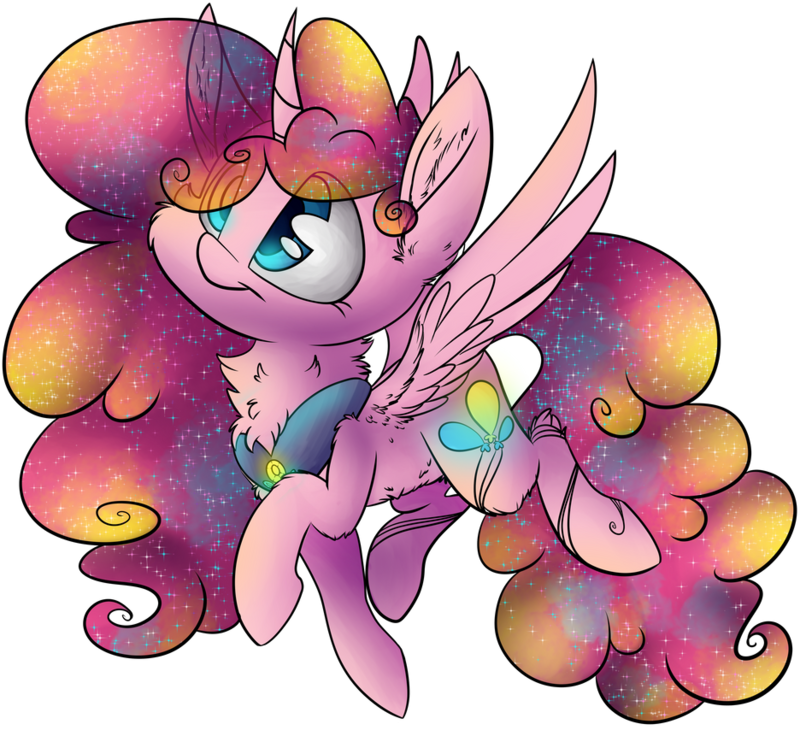 She is a pink cotton-candy-maned sugar rush that is at constant war with logic and 4th wall and nopony is able to stop her!!! 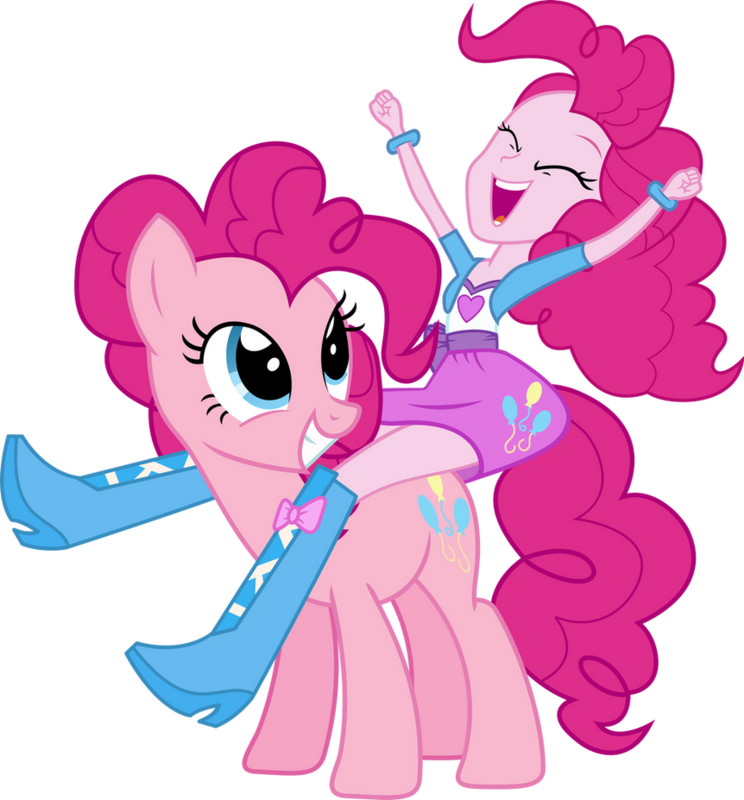 But most importantly, Pinkie is always out there for those who need somepony to cheer them up. 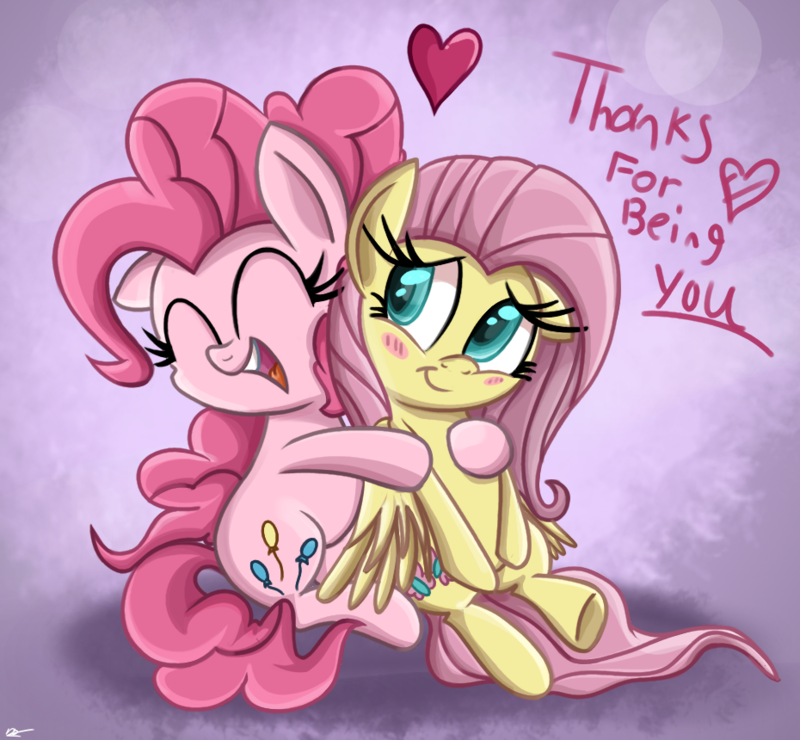 She makes anypony smile even in the most grief hour. One is never able to leave her parties without happiness on his/her face. 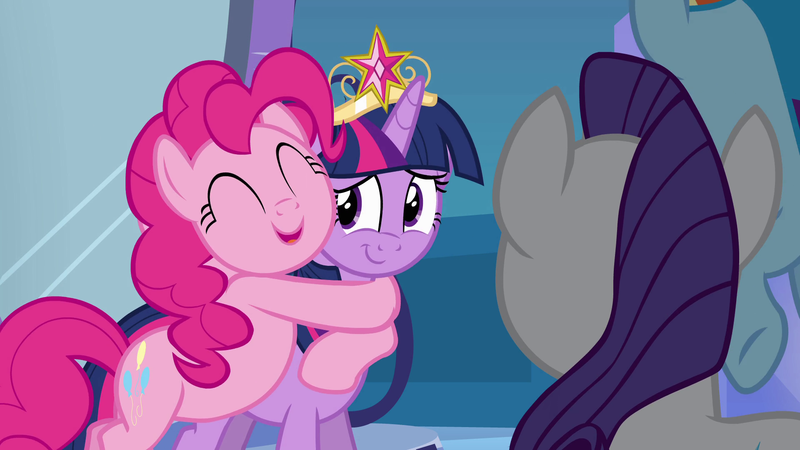 If you ever feel blue , just let Pinkie give you a hug. But make sure you always laugh and smile for her. It might be not much, but it is something that makes her happy beyond anything. ☆ Whatever them good old EQD Forum rules have to say! 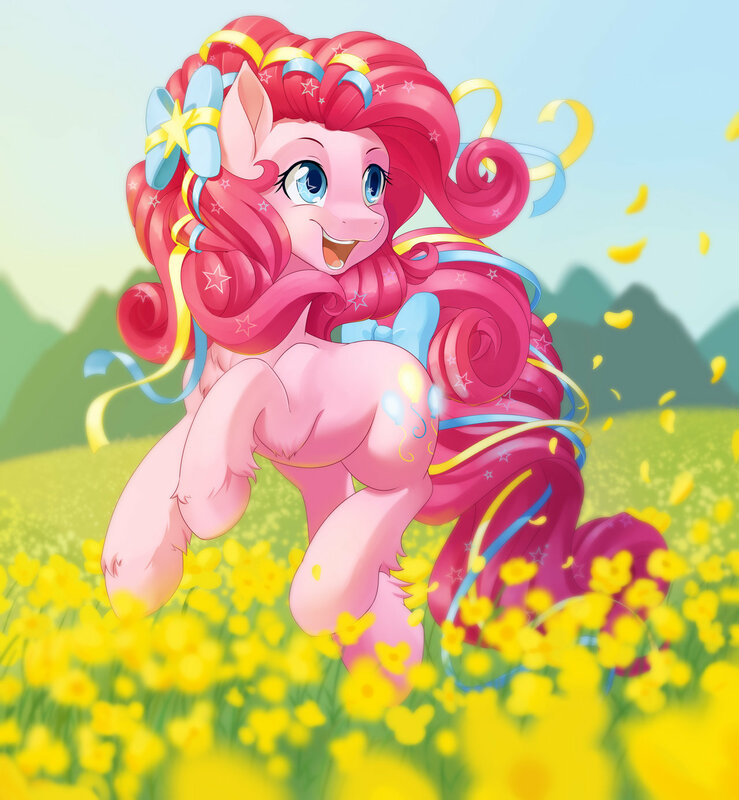 Pinkie Pie being happy in a field of flowers! This is official now! 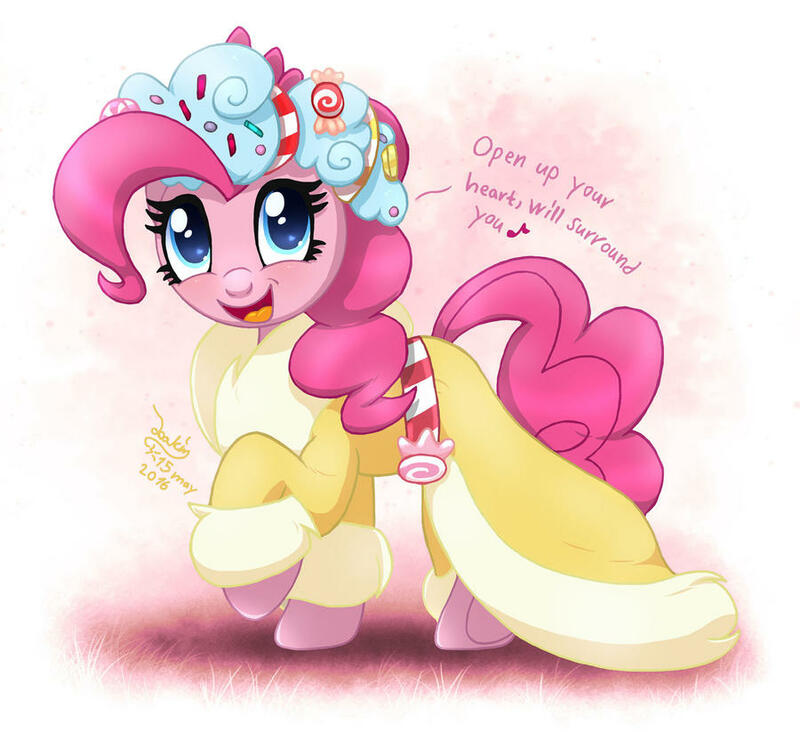 "Pinkie's Present" stole "Smile Song"'s crown for me. 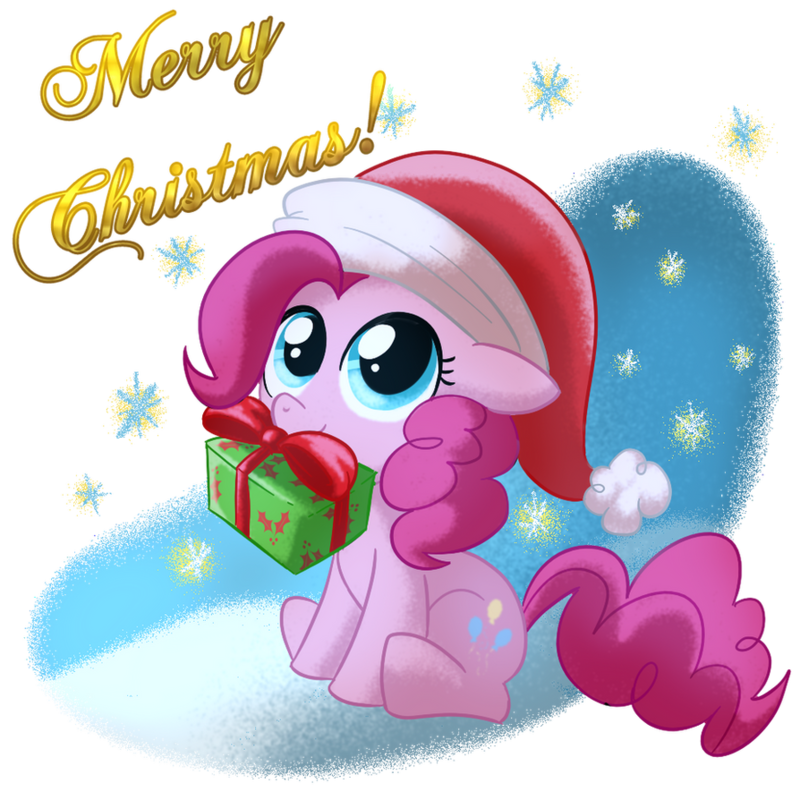 I am deeply sorry, but this Hearth's Warming Eve is just too jolly, catchy and happy...I still love "Smile Song", but this one delivers a tiny bit more of Pinkie-happiness to me. Especially at the time like this. I hope it did nothing to the happy atmosphere of this thread. I personally like both songs. They both do a fantastic job of making me smile and make me feel jolly. 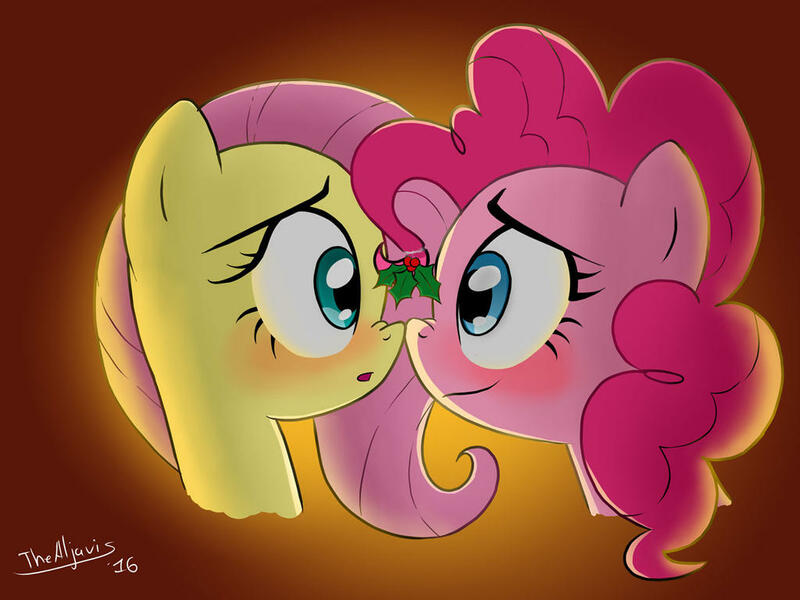 The only difference to me is that "Pinkie's Present" has a festive ring to it. 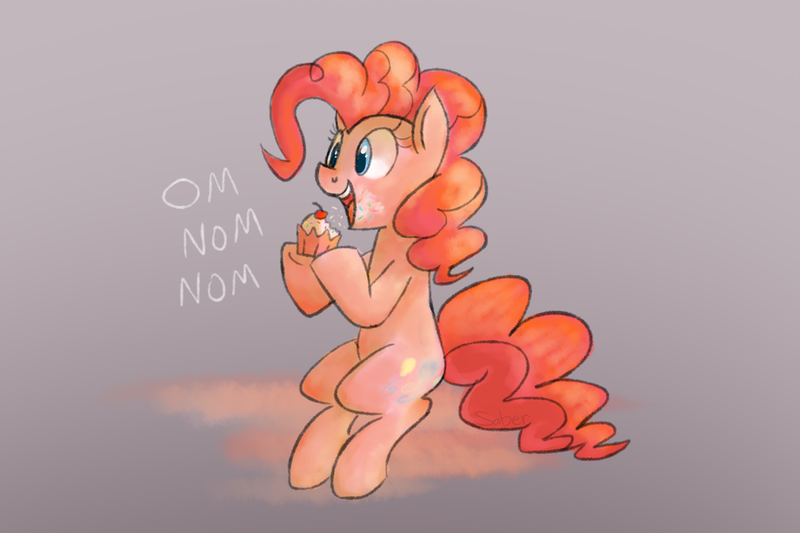 I think Pinkie needs one of us to... toss her a cupcake? Why has nopony posted this yet?! Why does the jump-rope at 0:59 swing by itself? 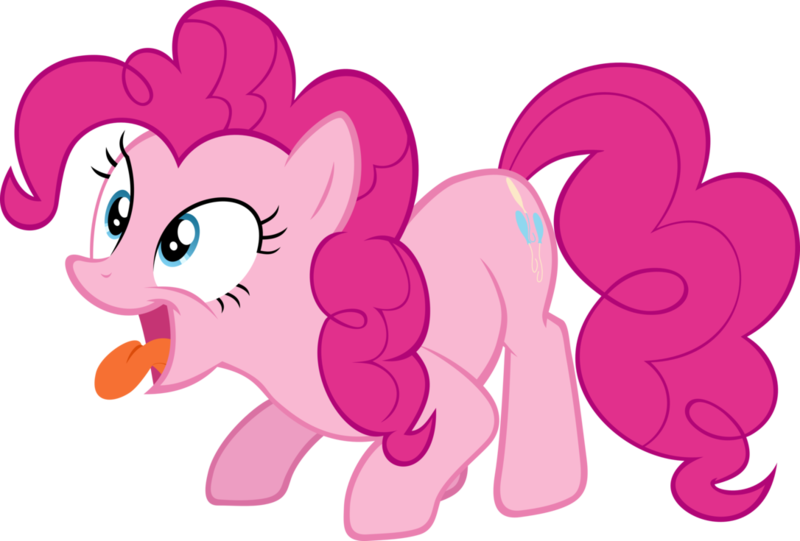 Because Pinkie Pie; that's why. 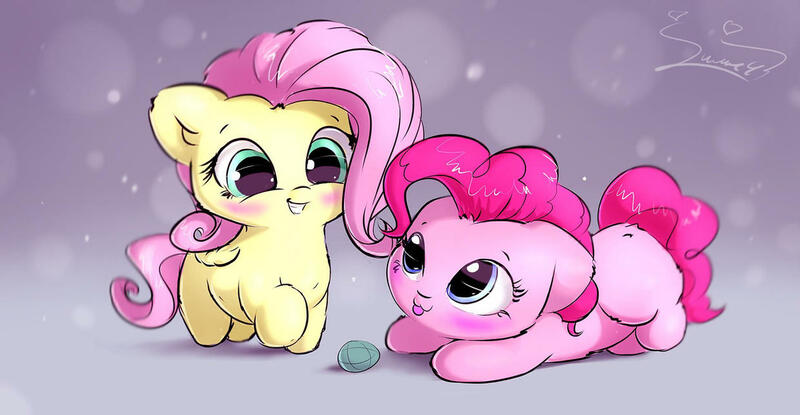 Pinkie's Present of Pinkie, everypony! JUST WHAT I ALWAYS WANTED!! It's party time! 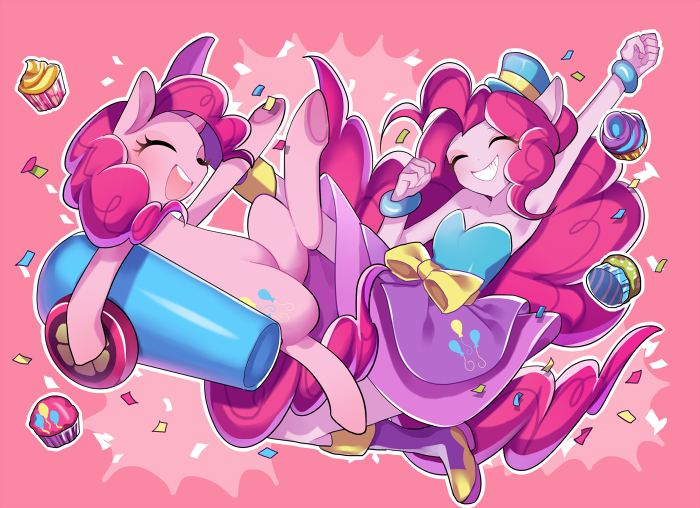 Twice the Pinkie for twice the fun! @Shimmer Sparkle Twice the fun, and twice the cuteness! ALL HAIL THE PINK ONE! I can't put my finger on it. If Pinkie is an alicorn, then why does she look so confused and lost? 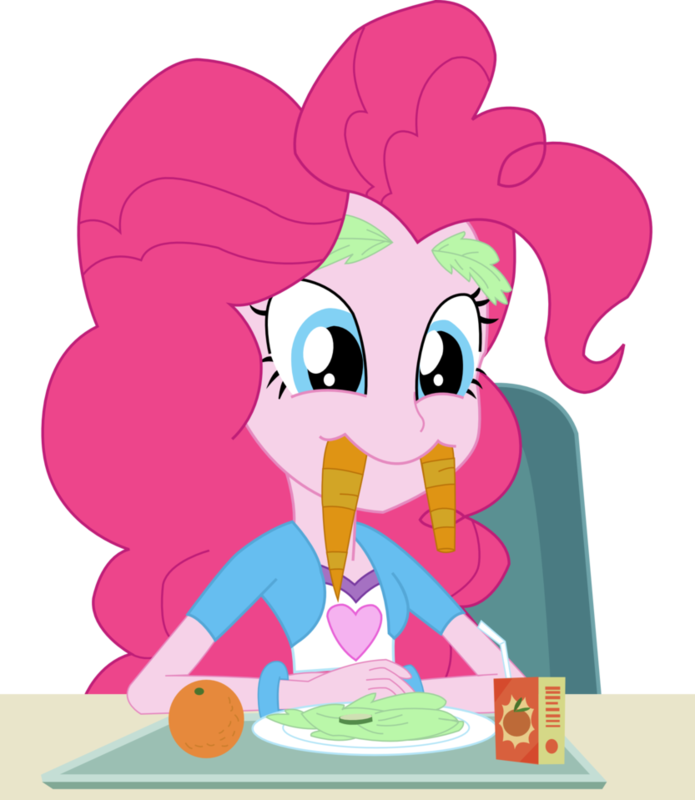 Shouldn't she be Pinkie-happy about it? Imagine all those parties she would be able to throw with little to no effort! Or am I reading her face expression wrongly? It looks more like a smile than a confused expression to me.